On 10 June 2018, the Australia national team arrived in Russia, ahead of the World Cup. The country will be playing their opening match against France on Saturday, the 16th of July. As usual, the Socceroos are considered one of the underdogs of the competition. The furthest they had made it in the competition was to the Round of 16 in 2006. During the 2014 edition of the competition held in Brazil, the team was knocked out in the group stage after losing all three matches. This time around, it does not look easy to advance either as France and Denmark are favorites to emerge victorious in the group. Going into the campaign, Australia had brushed aside the Czech Republic and Hungary, scoring 2 goals or more in both matches. It will certainly be difficult for the national team's manager, Bert, to get any positive result from the fixtures. However, not all hope is lost. The Dutch manager does have a number of capable and talented players on his team. These are the players who have gained lots of experience outside of A-league and are consistently performing well for their clubs. They have the potential to impress in Russia and perhaps give the Aussies some hope of advancing. On that note, here is a look at the three players to look out for in the competition. 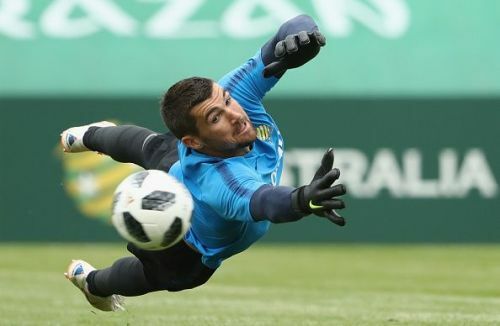 The Brighton and Hove Albion goalkeeper is set to be Australia's first choice during the World Cup campaign. Ryan has impressed many in his debut season for the English Premier League club. He was one of the two players from the club to play every single match in the Premier League, keeping 10 clean sheets in the process. It was surely an encouraging performance from him and it has probably solidified his position in the Aussie team. Since making his international debut in 2012, the 26-year-old has earnt 44 caps and kept 15 international clean sheets. 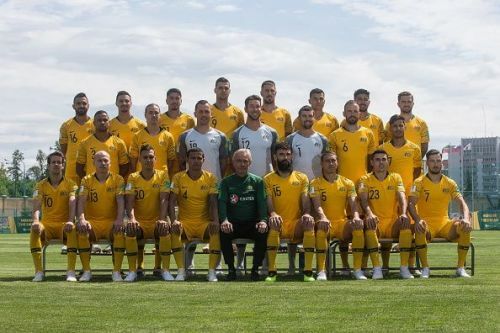 In the previous edition of the World Cup, Ryan played all the matches as the Socceroos lost their three group stage matches and faced immediate elimination. It was definitely a great disappointment for the down-under internationals, who faced Chile, Netherlands, and Spain. This time around, it will not be easy either because Australia has been drawn to face France, Peru, and Denmark. However, Ryan will surely be eager to see his country bounce back in Russia. Over the four years, Ryan earnt himself the Best Goalkeeper of the Tournament for the 2015 AFC Asian Cup competition. He is also known to be accurate with his ball distribution and is extremely confident in claiming the ball from set-pieces and open play. According to Squawka, the goalkeeper has an average claim success of 88% and made an average of 2.79 saves per game. With much more experience now, Ryan could impress for his nation in the World Cup.